Jerald “Jerry” Wayne Ruth, 71. Born November 19, 1946, died April 6, 2018 in Las Vegas Nevada. 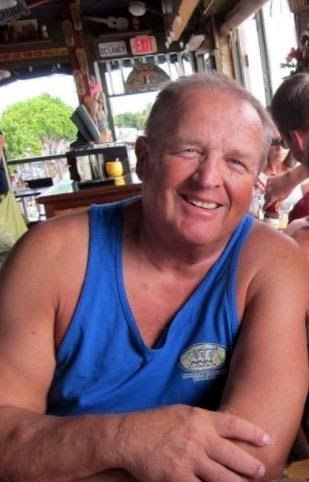 On April 5, 2018 after a visit to the Las Vegas Athletic Club, his normal daily routine, Jerry collapsed in full cardiac arrest. He was able to hold on until Brent(son) and Wendy (daughter) arrived from Seattle for final goodbyes. Then, honoring Jerry’s wishes, life support was removed. He passed away on April 6 at 0042am. Jerry lived, in Graham, Washington, with his younger brother, Terry and his parents, Ed and Adele Ruth. At the tender age of 5, Jerry suffered a traumatic event when his older brother Alfred, age 9, died at home with Jerry in attendance. This awful event influenced every aspect of life for Jerry from that time forward. Being an only child for the next nine years, Jerry began collecting coins. Of course, he also had to attend to daily farm chores. There were cows to milk, steers to raise and most importantly an outdoor basketball hoop. Jerry graduated from Bethel High School in 1965, where he lettered in Basketball, Baseball and Band. From there, Jerry attended the University of Washington where he obtained a Bachelor of Science in Pharmacy. Graduating from the UW in 1969, he began working as a Registered Pharmacist at Tacoma General Hospital. It was at TGH that Jerry met his wife, Barbara. They were the talk of the hospital gossip chain from the time they met in April, got engaged in June and married in October 1972. In 1973, Jerry and Barbara were blessed with their first child, Wendy and following in 1976 they happily welcomed son, Brent. The human family was complete and the adoption of (many) dogs was just beginning. Nearly all who knew Jerry, knew him as an avid University of Washington sports fan. He was a TYEE member, Lifetime member of the UW Alumni Association and a Lifetime member of the President’s Circle. He even made his children, Wendy and Brent, attend the U of W for undergraduate studies. As a devoted Husky supporter, he followed both Men’s and Women’s Basketball, Softball, Volleyball, Baseball, and Football. He was often found expressing his thoughts and opinions on the UW Fan-Blog – Dawgman. For nearly 30 years, our Fall weekend plans were dictated by the Home/Away schedule for Husky Football where we would either travel to Seattle for a Home game or to one of the Pac-10/Pac-12 away games in Oregon, California, and Arizona. This love for Husky Football also made it easy to identify our holiday plans – we loved our family trips to the Bowl games. From eating fresh Oranges in Miami 1985, to smelling the Roses more times that we could count – but most definitely in 1991 – this love of his alma mater carried through right up to this past year when he watched the Huskies play in the Fiesta Bowl for the very first time. In terms of attire and appearance, it was always Husky gear…. Tank tops, socks and shorts for everyday living, another set for Handball or basketball playing and for formal attire, he wore short sleeved Husky polo shirts, shorts (if he could get away with it) or long pants if he couldn’t. Outerwear?? Everything from windbreakers to down-filled parkas. Gloves, scarves, UW baseball caps, and wool hats completed his wardrobe. For those who missed that side of Jerry, another defining characteristic was his need to be physically active at all times. He was a member of the YMCA for over fifty years. He played basketball on a daily basis until one day, about 35 years ago, a friend introduced him to handball. Then it was daily handball and subsequent handball tournaments around the United States and Canada. We always made a family vacation out of it – and some of the best family vacation memories just happen to include a 4-7-day stint at an athletic club watching Jerry play. Jerry was a Hospital and Retail pharmacist, who had great empathy for his patients. When clients were being difficult or challenging he would remind himself that this may be their way of coping with a life they never dreamed of or wanted. He would say to others, that if they thought someone was being unreasonable… change places with them. Jerry was able to retire at an early age and was looking to find some activity that would satisfactorily keep him occupied. He saw an ad in the newspaper for Volleyball referees and applied. Once he was officiating Volleyball, he looked for the next opportunity. Having played basketball most of his life, he decided that being a basketball referee was the next the best opportunity… refereeing kept him active and occupied. And then came that first summer being retired…. Baseball Season! The next thing you knew Jerry had become a Baseball Umpire. It was clear from the first day, that Umpire was what Jerry had been born to do. Never had his family seen him as happy as he was when Umpiring ANY level baseball game. As time went on, Jerry and his wife, Barbara began noticing the impact of the damp and cold of Washington weather on their ability to move freely and without pain. During one of their frequent visits to Las Vegas, they made the sudden and unexpected decision to retire to Las Vegas. In 5 days, they located and purchased a townhome near Summerlin. Why you ask? It is simple – in Las Vegas Jerry could umpire Baseball ten months out of the year and almost never get rained out. As a vacation destination, Las Vegas draws many Handball players and Tournaments and a high level of skill creating a daily challenge for Jerry… he was ecstatic. And then to top it off, in Las Vegas, Jerry was closer in proximity to those UW conference opponents in Arizona, California, Utah. How much better could it be? Retirement life included many travel opportunities. Just this past year alone, Jerry traveled to Maui, Seattle, Phoenix, Los Angeles, New York City, and with the UW Alumni Association on a European Riverboat cruise! Amsterdam to Budapest. Jerry once said that he was never going to grow up. At the time it was thought that he meant he was never going to grow old. He really did mean that he was never going to grow up; unfortunately, he forgot to tell his body not to grow old. At the age of 71, Jerry continued to push his body to its limits, as if he were 25 years old. His daily existence was fairly routine – handball in the morning at LVAC, being a baseball umpire in the evenings and on weekends with 5-6 games each day. And finally, at 12:42 a.m., on April 6, 2018, his heart finally told him to stop and rest.